In the pre-dawn hours today, the remaining ice on the pond had disappeared and the water opened up. Today was going to be a balmy 54°F. The water is filled with life. 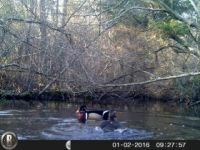 Canada geese, hooded mergansers, wood ducks, American black ducks, mallards and even a couple of diminutive lesser scaup are all pairing up and making their  sometimes raucous  circuit around the length and breadth of the pond. There are already insects on the wing and last week, I came upon a turkey courting a large group of hens. The signs of approaching spring are everywhere. Yesterday, we welcomed Kevin Riordan from the Philadelphia Inquirer. He and Pulizer-winning photographer, Tom Gralish, spent more than two hours on the Refuge talking to us about our mission, our legacy, the fauna and flora and the history of the Refuge. We showed them collections of Hope Sawyer Buyukmihci's and her father's, naturalist and famed bird artist Edmund J. Sawyer, sketches and paintings. We are working on archiving these historic pieces and preserving them as part of the Refuge's legacy. Kevin's piece is scheduled to run next Sunday, February 28. Unexpected Wildlife Refuge will also be presenting archival-quality prints of Hope's at "Lines on the Pines", an event created to showcase the talent of artists and artisans in the New Jersey Pine Barrens. It is on March 13 at the Renault Winery in Egg Harbor City, NJ. More information can be found here: www.linesonthepines.org. 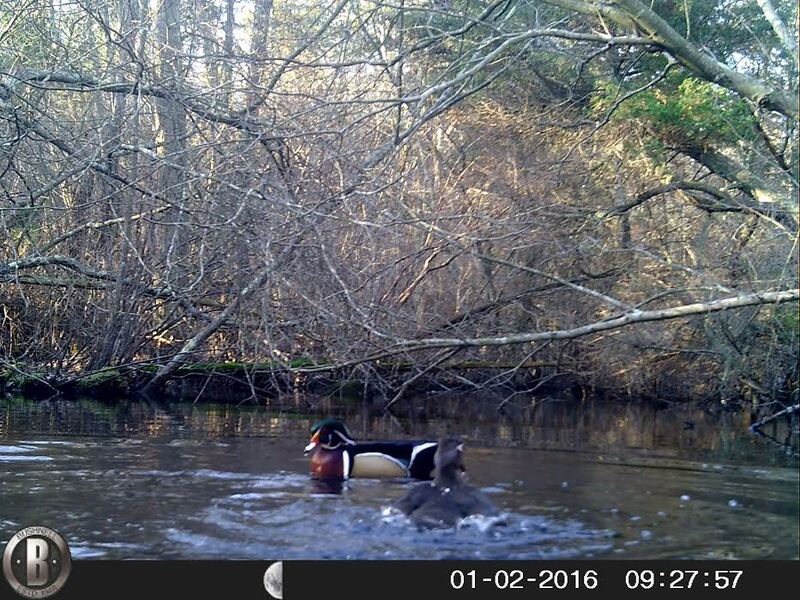 Comprised of 767 acres of pristine wild lands, the Refuge provides a peaceful and necessary sanctuary for wildlife indigenous to the New Jersey Pine Barrens ecosystem. But protection efforts everywhere else in the state and the country cannot be accomplished unless people understand the need and the value to wildlife of learning how to peacefully coexist with them. 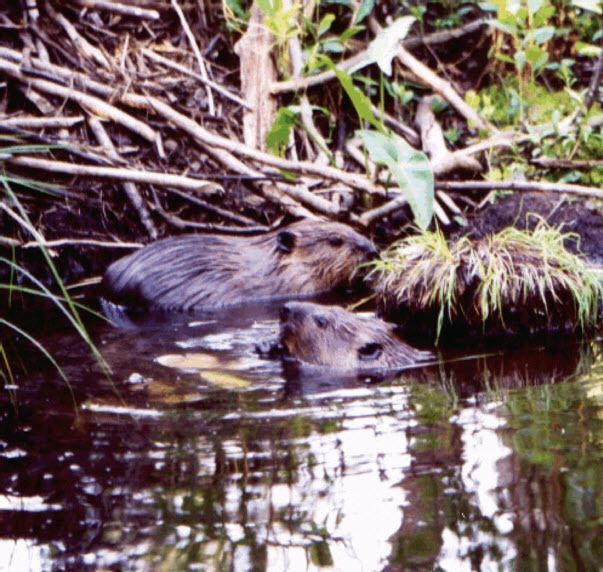 In that spirit, over the last few months, we have worked with the city of Toms River, NJ, to try to convince them to install nonviolent beaver control devices on a local lake instead of killing the family of innocent animals due to a few isolated complaints by neighbors. We visited local government officials, created an online petition that gathered thousands of signatures and enlisted the cooperation of New Jersey Animal Protection League, New Jersey Humane Society, attorney Dante DiPirro and the state senate offices of Senator Raymond Lesniak and Senator Corey Booker. One of the local news stories can be found here: Asbury Park Press story. Despite our concerted efforts and the outpouring of public outrage, the mayor ordered traps to be set. 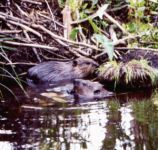 Although the total so far is in question, we know that several beavers have been trapped and killed. We have not given up, however, and are still pushing for non-lethal alternatives for the future. We ran another successful hunting season patrol with a dozen local volunteers to prevent hunters from illegally luring wildlife from the Refuge and from trespassing to hunt within our borders. In addition to donating through our Website, we have new t-shirt designs available! Please visit our Galloree store site to see all the new designs, colors and shirt styles that we have with our classic Unexpected Wildlife Refuge logo and screenprints of Hope Sawyer Buyukmihci's original artwork.